Paris (AFP) - The French government sacked the top police official in Paris on Monday following another weekend of rioting in the capital during "yellow vest" protests which have put President Emmanuel Macron on the defensive. Business owners were left fuming Monday, as Macron cut short his skiing holiday to meet top ministers to discuss the 18th consecutive Saturday of "yellow vest" demonstrations. 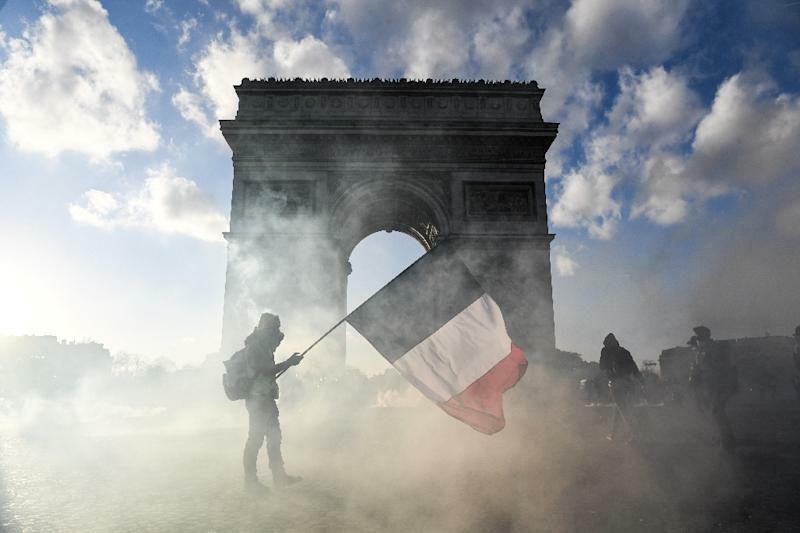 He said French authorities would ban rallies on the Champs-Elysees and elsewhere if hooligans were detected there, adding that fines would be increased from 38 to 135 euros for people attending unauthorised protests. 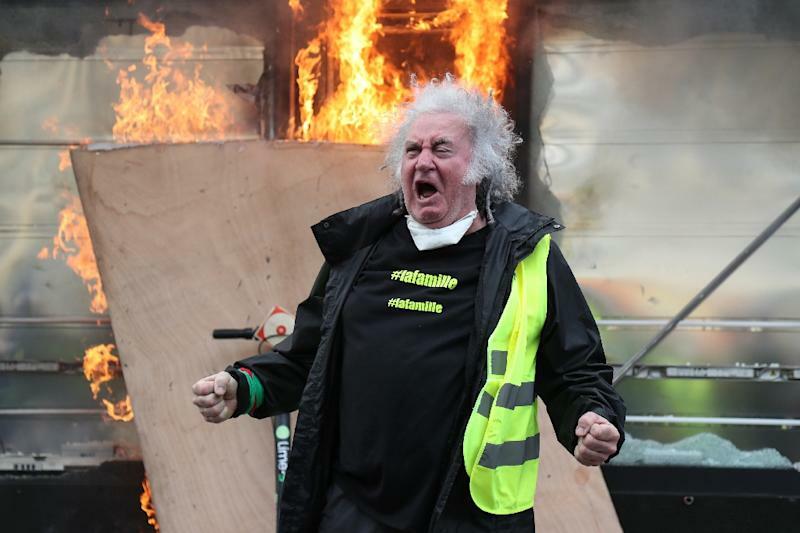 While the public's safety remains a priority, "the outburst of violence justifies a firm (police) response," Philippe told France 2 television on Monday evening. "You have to take responsibility and engage, with the possibility that people will get hurt," said Frederic Lagache of the Alliance police union on Monday. Castaner, a long-time ally of Macron who had no law-and-order experience before becoming interior minister in October, is also facing renewed scrutiny of his record amid calls for his resignation from some in the opposition Republicans party. 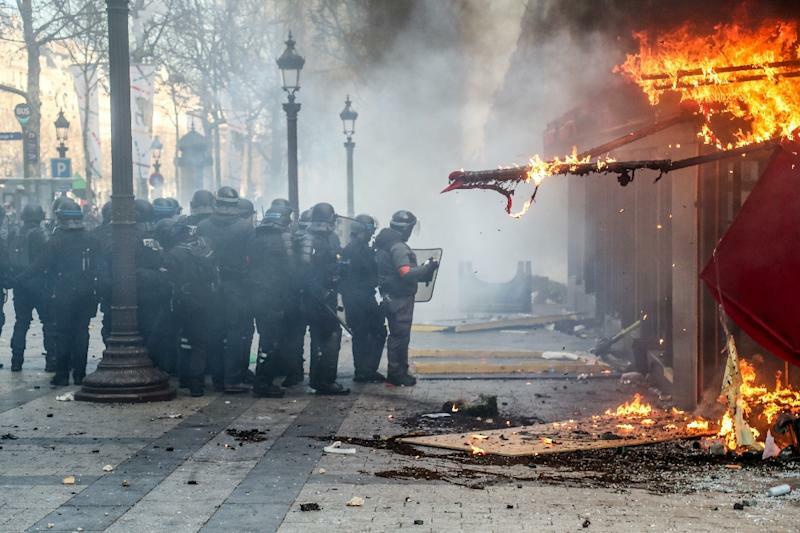 The UN rights chief Michelle Bachelet called for a "full investigation" into the possible use of excessive force by French police during the protests in an address on March 6. Since the demonstrations began on November 17, some 1,900 people have been hurt, including dozens who have suffered serious injuries from stun grenades or rubber bullets fired by police.